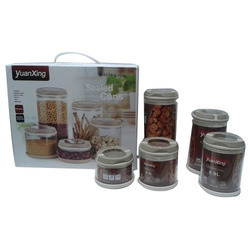 Banking on our enriched industry experience, we are able to supply Sealed Storage Can Set. We fabricate lubricant containers with materials which preserves the qualities of the lubricants. 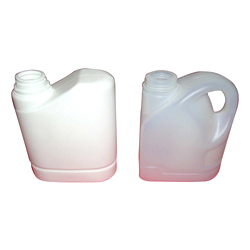 These lubricant containers (Storage Cans) are manufactured with quality based materials which ensures that they do not contaminate its contents. We can also customise them as per the specifications of our clients. In order to meet excellent quality standards, we are supplying Square type Storage can 20 liter. We are providing a broad range of Storage Cans. Moreover, quality checkers check our presented products on varied industry parameters to ensure the sturdy nature. We are leading manufacturers offering 35lt storage cans with high density and good resistance to chemicals. Use of HDPE 35lt storage can in making the containers provide in them excellent moisture barring properties and make them extremely useful for packaging industry. In order to meet excellent quality standards, we are supplying Storage Cans. We are amongst the most reputed names in the industry, offering Monotop Storage Cans. Our reputed entity is engaged in supplying Storage Cans. Pioneer in the industry, we are engaged in manufacturing and supplying an impeccable range of Plastic Liquid Storage Cans. - Widely used for containing water, oil, etc.